With these colder autumn days in Dublin, there is nothing better than a warm drink in hands. 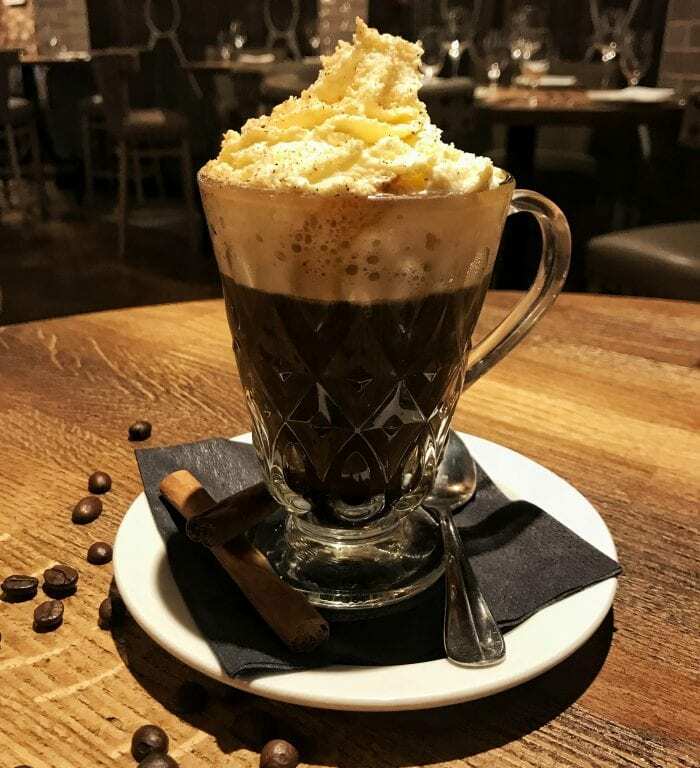 This November, our Drink in Focus is an amazing ‘Irish Coffee’. 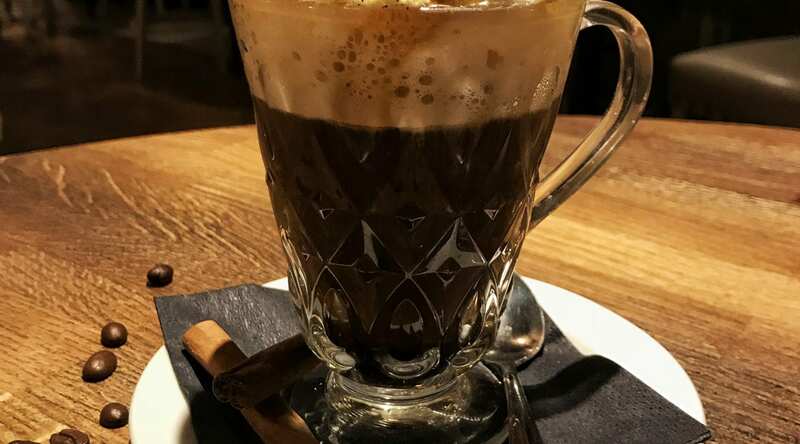 This beautiful drink is a flavourful combination of brown sugar, warm water, a shot of espresso coffee, DWD Whiskey and a special cinnamon-infused whipped cream. Doesn’t it look simply delicious? We have an incredible bar area at SOLE where our team creates the most amazing cocktails, the perfect treat pre or post-dinner. Why not visit us at 18-19 South William Street and enjoy a cocktail in Dublin City Centre?